Chinese New Year 2018 is here! 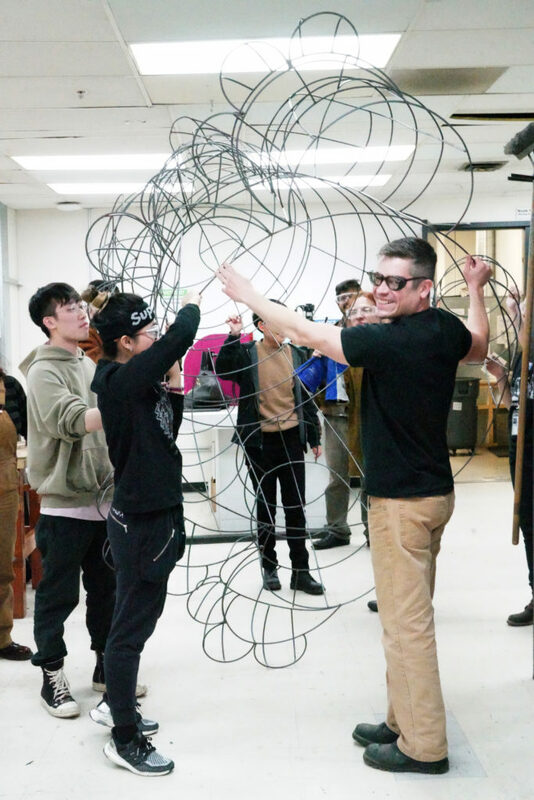 As San Francisco welcomes thousands of people from across the globe for the largest Lunar New Year celebration outside Asia, Academy of Art University students and instructors will roll out a float that embraces the Year of the Dog! 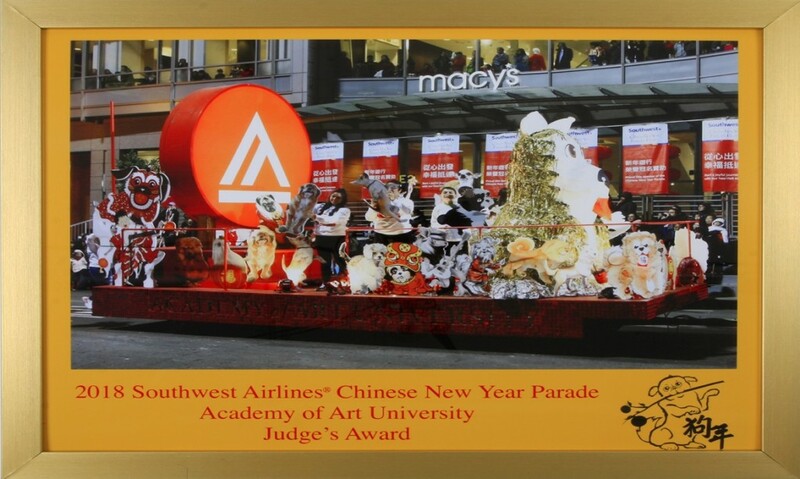 Measuring in at 18 feet long, the Academy’s float features 33 illustrations of dogs of Chinese decent. Designed by students in the School of Illustration, the dogs will be carried by students from the School of Acting who will mix it up with the crowd along the parade route. 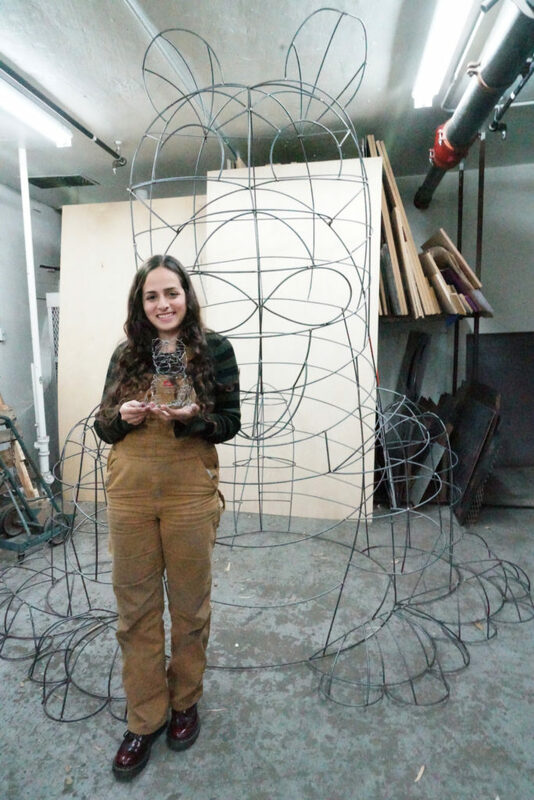 The main sculpture, an eight-foot-by-eight-foot metal frame dog, will sit at the front of the float, while a real empress pug in a gown and ruffle with a bone in her lap will be at the back of the float. Original music composed by School of Music Production and Sound Design alumnus Jia Shi will stream from the float. “Our students come from all different parts of the world. 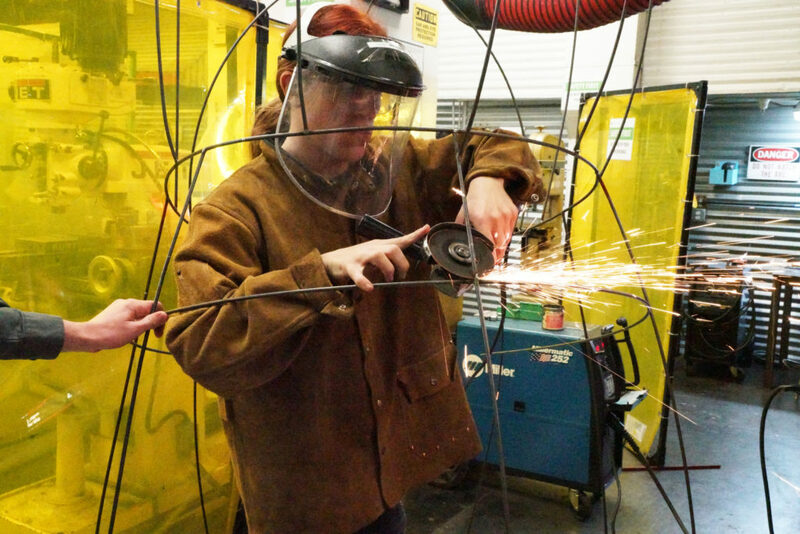 The float expresses the meaning of the parade and the talents of the students,” said Bob Toy, publications and special projects manager at the Academy. Inclusion, culture, and art are all concepts that the artists wanted to include in the 2018 float. And this year, the Academy invites members of the media to go behind-the-scenes and take a closer look at the months of work that go into making these giant floats parade-ready. Get information and tickets for the Southwest Airlines® Chinese New Year Parade and say hi as we pass by!